At the outset itself, the client was clear about moving his entire webstore to a new platform. Developed on core PHP, the erstwhile website used an obsolete technology which prevented the client from extensive product customizations and store upgrades. There was an added requirement of a comprehensive reporting system to be integrated with the new website’s backend which would showcase item thumbnails, selling and buying prices, year of purchase, origin etc to keep a track of every product and its status. The project heavily relied on migrating and indexing over 100,000 photos perfectly and fixing any broken content. A mammoth task considering the client’s keen attention to detail. Considering the client’s end objective and requirements, it was a no-brainer that Magento would be the preferred option. We immediately set out at delivering a massive upgrade on the client’s previous website and integrating the custom reporting system in the backend. Meanwhile, we also started exploring options of delivering a mobile app to the client and potentially integrating an auction system in the process. The new website apart from retaining the earlier features also now offered the added functionality of different customer groups. Products are now viewed differently for different customer groups. The client by now had started harboring dreams of incorporating an auction based system for the website and soon we got a go-ahead. We were required to custom code the auction feature for real-time auctioning of items. Taking this a step further, we decided to make the bidding process even more exciting and fun. Through a series of complex algorithms and coding, we activated the auto-bidding feature for the site. Herein, the website would compare your bid with those of others, increasing your bid on your behalf using only as much of your bid is necessary to maintain your high bid position. Other features including reserve price auctions, bid increments, safety bids were further added to bolster and make the auctions convenient for customers. While website along with a comprehensive auctioning system was being created, we simultaneously started working on creating mobile apps. The client by now had made up his mind to go for the complete jugular. 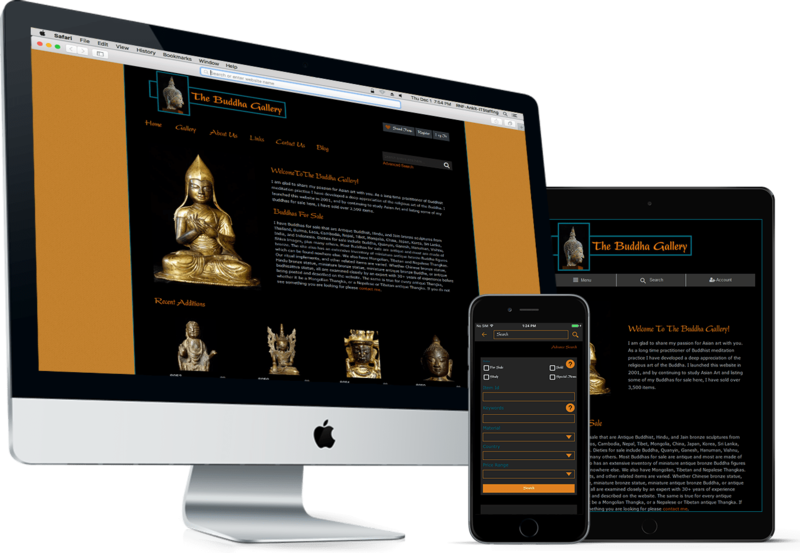 Website coupled with mobile applications was the complete e-store solution for The Buddha Gallery. We hence created native apps on the same lines as the website for both the iOS & Android platforms. The new website coupled with the mobile apps draws traffic like never before, generating more business for the client. 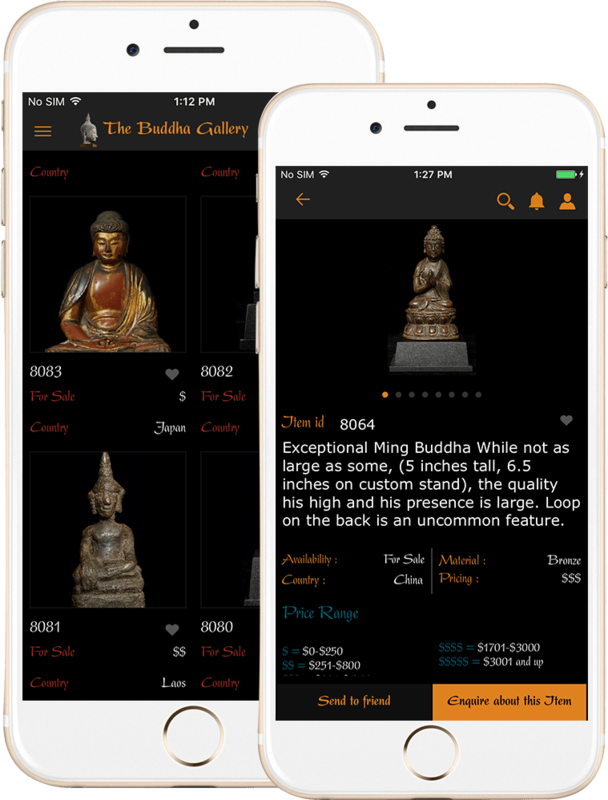 The entire project has enabled The Buddha Gallery to enter new overseas markets and double its sales.